NJPW has announced the full card for tonight's New Japan Cup finals. 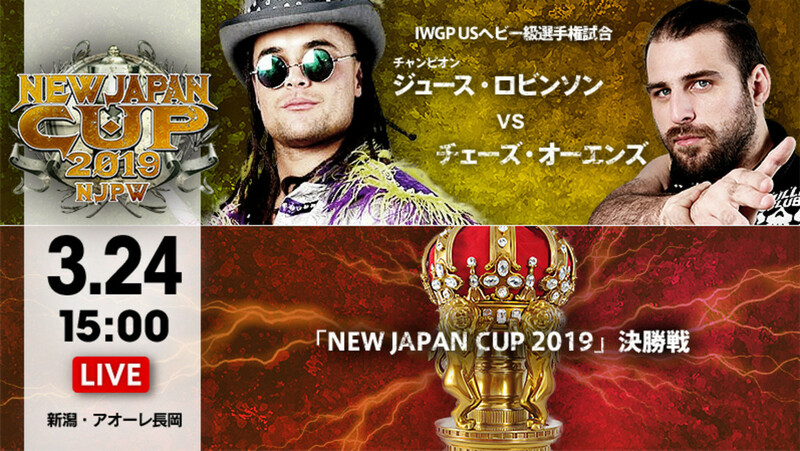 As had already been confirmed, the top two matches on the show will be Kazuchika Okada vs. SANADA in the New Japan Cup finals and IWGP United States Heavyweight Champion Juice Robinson defending his title against Chase Owens. Tag matches round out the rest of the card for the New Japan Cup finals. White is teaming with Bad Luck Fale & Hikuleo against Hirooki Goto, YOSHI-HASHI & Mikey Nicholls, Hiroshi Tanahashi & Will Ospreay are taking on Zack Sabre Jr. & Taichi, and IWGP Intercontinental Champion Tetsuya Naito and Kota Ibushi will again be facing off in an eight-man tag match.